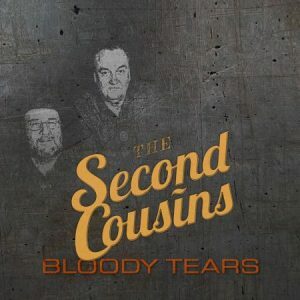 Bloody Tears is the debut album from The Second Cousins, a band composed of some highly experienced musicians in Switzerland. The name of the band comes from the fact that the band’s co-founders, Cla Nett and Kurt Bislin, having played in various different competing Swiss blues bands for many years, were surprised to discover during a conversation one evening that their grandfathers were actually brothers, making them literal second cousins. Nett and Bislin share the singing and guitar playing duties on Bloody Tears, with muscular support from the rhythm section of Markus Halmer on bass and Bernie Ruch on drums. Beth Wimmer also adds backing vocals to three tracks. The result is a solid set of electric guitar-driven, rocking blues, with 11 originals together with covers of Taj Mahal’s “Done Changed My Way Of Living” and Johnny Littlejohn’s “Bloody Tears”. 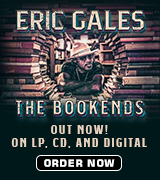 The album is primarily based around burly mid-paced shuffles such as the opening Texas-style shuffle of “31st Of July”, or the Elmore James-esque title track, with Nett and Bislin’s overdriven guitars to the fore. “Train Down South” has hints of Lynyrd Skynyrd’s blusier moments, while the lighter side of the band comes out on the entertainingly swinging “I Ain’t Got Enough”. There are tips of the hat to Magic Sam in both the start of “Boogie Fever” (which then heads in a harder R’n’B direction à la early Dr Feelgood) and in “All My Love” riff in “Believe Me”. The pace is slowed only on the grinding “I’m Scared” and “Bound To Go”, while “Mean And Evil” has a slightly funky groove. Two of the more interesting tracks, however, are the slide-driven “Sailed To Dixieland” and the country-esque “Handle With Care”. Ruch and Halmer lay down a series of solid grooves throughout, and Ruch in particular has some lovely moments. The focus of the album however is very much on the blues-rock guitars of Nett and Bislin. 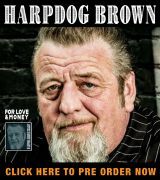 Both men sing with husky, road-worn bellows and their guitar playing is not dissimilar. It is refreshing however to hear blues-rock guitar players exercise some restraint and taste in their note choice (as well the number of notes they play). Bloody Tears was engineered by Little Konzett at Little Big Beat Studios and Konzett captures a great sound throughout. It is clear that The Second Cousins are a talented band and no doubt a great act to see live. If there is a criticism of Bloody Tears, however, it is in the uniformly brawny delivery of the songs, which results in a sense of monotony after a few plays, not aided by some overused lyrical themes such as trains leaving stations and mean and evil women mistreating the protagonist all the time. A greater use of dynamics or subtlety would raise the music to a different level, as evidenced by Wimmer’s harmony vocals on “Done Changed My Way Of Living”. Bloody Tears is definitely worth investigating if you like your blues played hard and loud but it’s difficult to shake the sense that these musicians can produce something more accomplished.